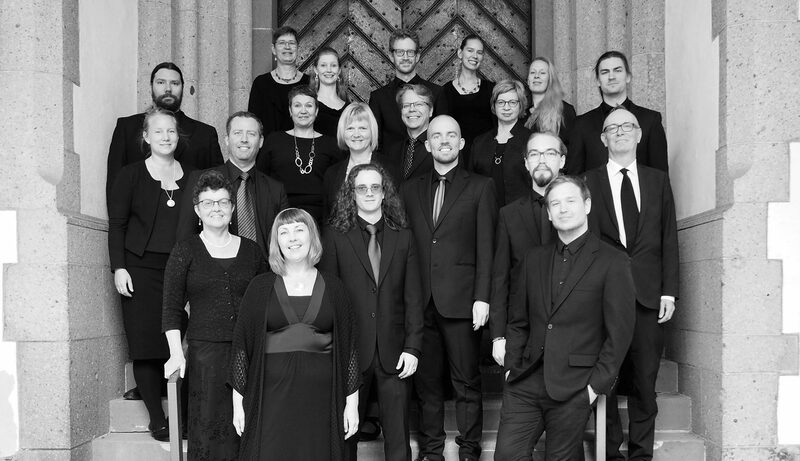 The Erik Westberg Vocal Ensemble was formed in 1993 and consists of 16–20 singers. The members of the Ensemble work as soloists, church musicians and music teachers and come from northern Sweden and Finland. The Ensemble has commissioned and premiered about 40 works by composers such as Gunnar Eriksson, Paul af Malmborg Ward, Tebogo Monnakgotla, Jan Sandström, Sven-David Sandström and Arvo Pärt. The Swedish Broadcasting Corporation has, in close collaboration with the Ensemble, sent several live performances, both in Sweden and throughout Europe. The Ensemble has undertaken over 20 tours to North and South America, Europe and Asia. A particularly notable engagement was the project Choral Singing for Peace and Justice with a tour to Tonga and Samoa at the turn of the millennium, seen by the largest television audience ever. From 1996 to 2015, the Ensemble has released thirteen CD:s, from French-Arabic-inspired musical mixtures to romantic dreamesques to Originals from 2014, manifesting the conductor’s passion for contemporary music and includes only works premiered by the ensemble. Reviews has generally been fortuitous; for example, Vita Nouva from 2015 recieved a “world class” grade from OPUS, the largest music magazine for art music in Scandinavia. Chorus Gloriosus was released just recently and consists of large choral works for choir and organ together with young organist Helena Holmlund and Organ Acusticum.